You can have pretty beach feet fast! Start Early to Get Pretty Bare Feet! As the winter draws to a close, many people look forward to the warmer and sunny days without all the layers of clothing, socks and shoes. If you don’t have beach feet yet, now is the time to get the scoop on how you can have beautiful feet in time for sandals and all those pretty summer shoes. Set aside some time to pamper yourself and your well deserving feet for the care that they deserve. You’ll feel and look so much better and will be happy to show off those pretty clothes and shoes just in time for warmer weather. Soak your feet in a warm foot bath using a few drops of pure essential oil and just a touch of your favorite natural body soap or bubble bath. This will help to soften and smooth out any rough skin on feet, especially after a long cold winter when they barely get any fresh air. Relax back during the process for at least 15-20 minutes but, before you begin to see the skin start to pucker. 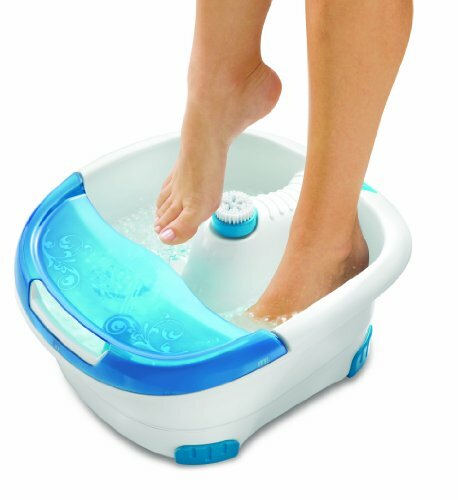 * If you need an electric foot bath spa massager that agitates the water to increase the circulation, use that instead of a regular basin and you’ll enjoy it much more! Use a foot scrub exfoliating lotion on one at a time. Gently rub a quarter sized portion of natural product directly, wetting your finger tips for easier application. Spend a minute or two on any of the rough patches or calluses that need special attention. Return one foot back into the foot bath and repeat the scrub onto the other. You’ll notice that you will almost immediately feel rejuvenated by this simple process. There’s more to beach feet though, so let’s keep going! Use a pumice stone onto any rough area gently rubbing the pumice back and forth until you can feel the skin start to slough off. If you haven’t tried the ped egg yet, this is an amazing product that easily removes rough skin on the body as well as hands and all the skin gets contained into the small attached container and is one of my favorite new products. This process not only helps to remove the dry dead skin but, will also help the circulation and helps to reduce pain as well. Repeat on both feet until they feel nice and smooth to the touch. * Avoid over scrubbing with a pumice stone since bleeding and pain can occur if you rub too deeply. Rinse with clear, clean warm water and remove. Apply a foot masque to one foot at a time by using a quarter sized amount and moistened fingertips to gently massage the product. Make sure to include the top and the bottom to help remove toxins and to improve circulation as part of getting pretty bare feet. Wrap each foot into a warm towel and relax with your feet elevated as the masque dries for at least 15-20 minutes. The next step to pretty beach feet is to remove the masque with a warm washcloth until it is fully gone. Use a clear warm water rinse and then gently pat the feet dry. Inspect the toenails. After this foot bath cleansing, your feet are very clean but the toenails are probably in need of a trim and filing. Gently trim each toenail to a comfortable level without hurting the skin around or below the nail. Take your time with this step and then use an emery board or nail file to remove any rough edges of toenail. Clean under the toenails with the tapered end of a cuticle wand and then gently push the cuticles back to enhance circulation and encourage new nail growth. Avoid cutting off the cuticle since it helps to protect the nail. Moisturize, moisturize, moisturize. Apply your favorite natural ingredient moisturizer to the feet. Place a moderate amount of moisturizer into the palm of your hand and slowly, gently and carefully massage the lotion into the entire area including the toes, between the toes, the heel, sole and don't forget the top. Massaging the feet will help to increase circulation and get you closer to the beach feet you desire! Allow the lotion to absorb fully by elevating the legs and waiting 5-10 minutes until it is dry. Apply a thin coat of nail polish to each toenail and allow the polish to dry fully. Repeat with a second coat for more pronounced color. Wait at least 5 minutes, add a top coat to each nail so that the nail polish will last long without chipping and then finally, spray on a fast drying nail spray and relax. Repeat this entire procedure at least weekly in order to remove rough skin on feet and keep them moisturized daily. You should have happy and pretty beach feet in no time. Below you'll find two of my most favorite products for total pampering. Enjoy! I love to use my Homedics spa bath weekly to soak the feet, use the pumice and brush to soften hardened area and the heat feels fantastic. Add your favorite oil for even more softening. This fabulous gift basket contains everything you need for those pamper days, from start to finish. Get it for yourself or the perfect pampering gift. It snowed again yesterday here along Lake Erie Deb so I envy your warm weather and yep, it's time for you to get beautiful feet. Still some time for me! Thanks for stopping by to read and taking time to comment! This was fun. It was so well written, I feel I've had a relaxing pedi! Thanks for the tips! I'm so ready for this. Spring in the Rockies is so unpredictable-snow, rain, mudslides,fires...I must say, this is a perfectly timed article! It's over 80 degrees here today, but with the kids still home from school for spring break, I will have to get my feet pretty antoher time!